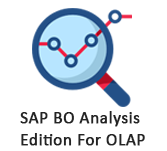 What is SAP BO Analysis Sheets? In a workspace, there can be numerous sheets. Sheets are used to group the data in a workspace. In a new Analysis, three sheets are comprised and you can add/remove sheets to suit the analysis. In a workspace, every sheet has its own set of analyses and components, which are not common and which cannot be related across sheets. Analyses and mechanisms on one sheet can therefore have the similar names as analyses and components on other sheets. How to Add a Sheet? In a workspace, you can add as several sheets as you need and delete as many sheets as you want. It must have at least one sheet in analysis. To add a sheet, right-click on a sheet tab. This adds the new sheet to the right of the sheet you carefully chosen and the new sheet converts the active sheet. How to Delete a Sheet? To remove a sheet, you need to right-click any sheet tab and click delete. You can also retitle a sheet in an analysis as per the necessity. To retitle the sheet, you need to right-click the sheet name and click Rename. The maximum length of a caption is 60 characters.